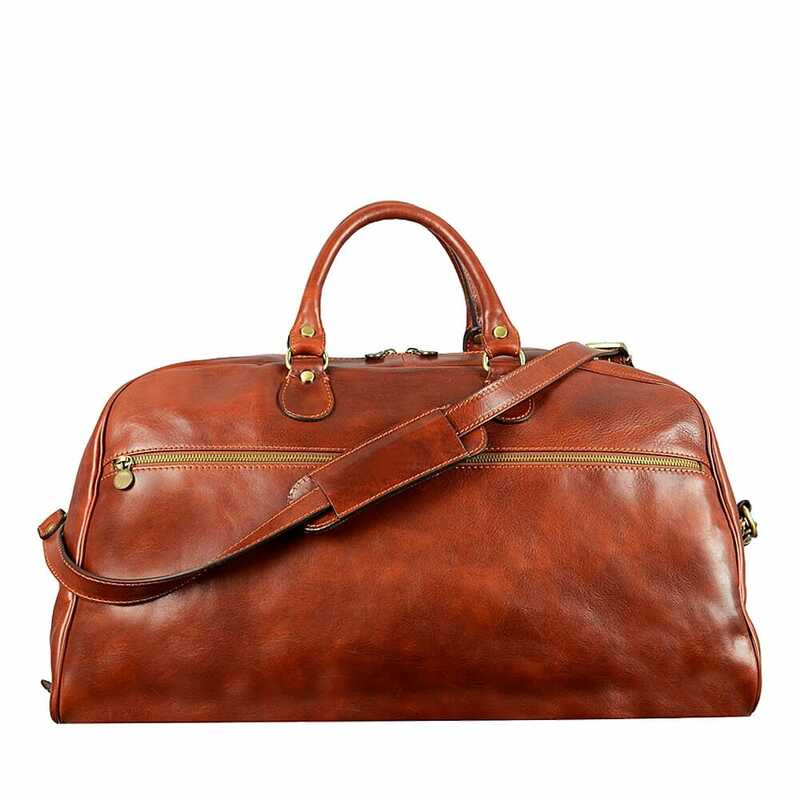 It has a highly recognizable and classy style, spacious enough to contain everything needed for a long weekend, be it in the city or countryside, to comfortably carry with its robust leather handles or alternatively with the adjustable strap. Crafted in genuine calfskin and created according to the ancient leather processing system of the Tuscan leather district, vegetable tanned and hand painted, with a cotton lined interior, has a front and a back pocket, where your passport and other documents can be easily and quickly reached at the check ins. Moreover, thanks to the comfortable tiny metal feet, you'll be able to place your Duffle anywhere without it being damaged or getting dirty.